Today I have the pleasure of participating in a fun Fall Wreath Blog Hop with so many talented bloggers. Make sure you scroll to the end of my post to check out the other wreaths. In the great state of Minnesota, we are still enjoying the last few days of summer before the kiddos go back to school after Labor Day. If you don’t already know…Minnesotans love summer time. It is a time to get outdoors and enjoy our beautiful state before the cold weather sets in. As transplants from a southern state, we enjoy as much summer time as possible before we hunker down for the long cold winters. But wouldn’t you know that as soon as the calendar turns to September, we fully embrace everything fall…crisp air, apple orchards, hay rides, beautiful colored leaves, and fall decorating. This year I was particularly excited to create new fall wreaths for my front doors. Ok…on to the good stuff. Five years ago when we bought our home I was especially excited about the double front doors and the large front porch. We never had double doors before and for some reason they were very appealing to me. Well…eventually I realized that two doors meant two wreaths and last time I checked wreaths were expensive. My first trip to find wreaths for the new house almost brought me to tears. No way was I gonna pay top dollar for a wreath and then have to multiple that by two. With this in mind, I have to get creative. 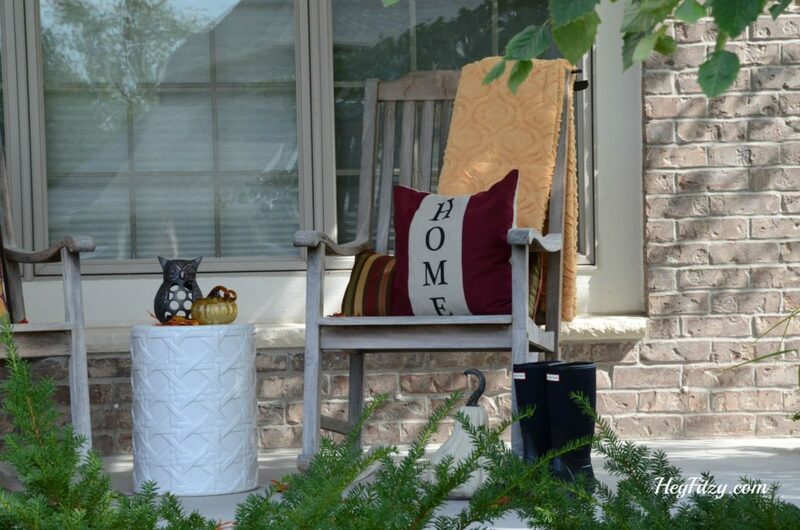 Here is a picture of our front porch from last fall. During a recent Walmart trip with my two girls, a few supplies caught my eye. 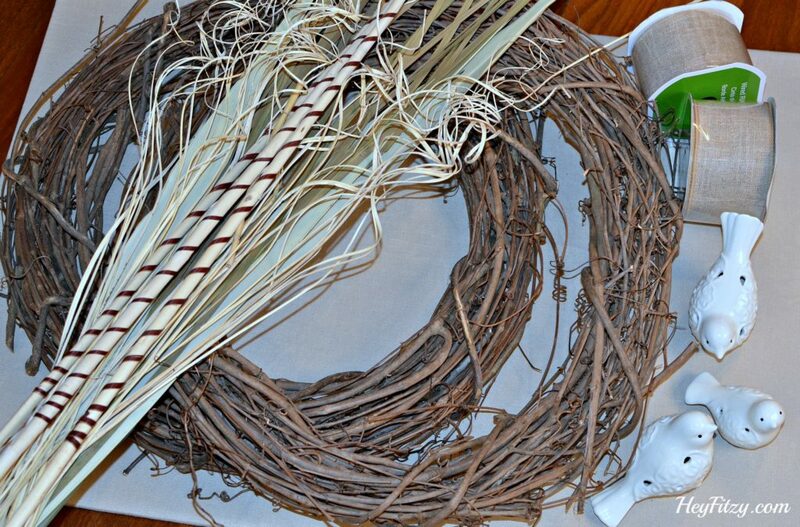 Here is what I found: 18″ grape vine wreaths, wired burlap ribbon, and some fall foliage. Grand total for these items came in just over $20. Yes folks…$20. 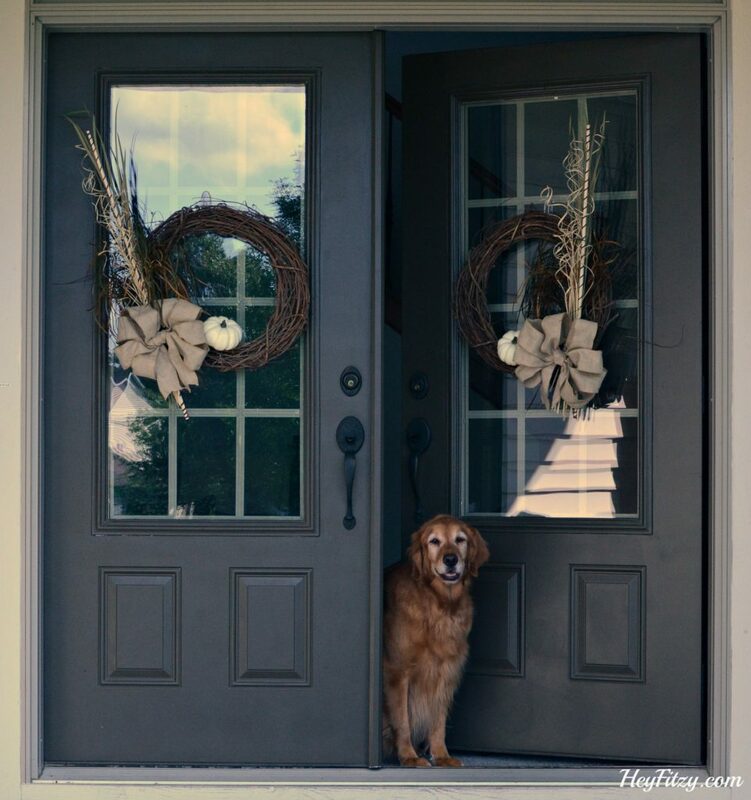 Now this is what I am talking about: two wreaths for the front doors that won’t break the bank. I thought I would need a few more items to dress up the wreaths but wanted to shop my home to see what I had to help keep the costs down. I left the store feeling satisfied that I was off to a great start. I found a couple of cute birds I had at home and added them to the picture above. Unfortunately as soon as I started working on the wreaths I knew the birds were not going to work. They were too heavy and I struggled to find a way to get them secured within the wreath. I was also afraid they might fall and break. Then I found a couple of white pumpkins that I picked up at a craft store last year. The pumpkins are light weight and won’t break. 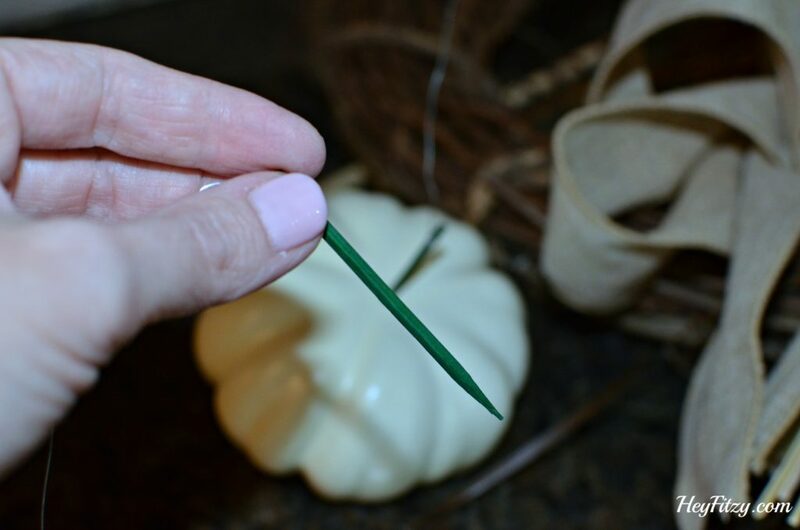 I inserted a flower pick into the bottom of each pumpkin and secured it with a little glue. 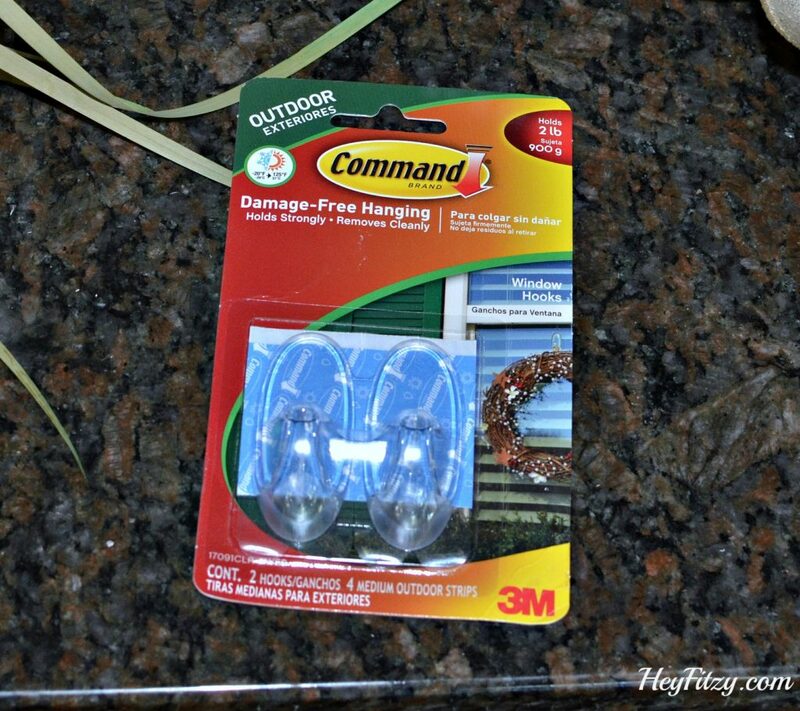 Next I used these outdoor command strips from my friends at 3M. They stick right to the glass on my front doors. And just look at the finished product. I am so tickled with the way my wreaths turned out. The bow was easy to make with the wired burlap ribbon and helps to create the more neutral fall look I was hoping for this year. Here is a peak at the second wreath. Thanks for stopping by y’all! Happy Fall!! 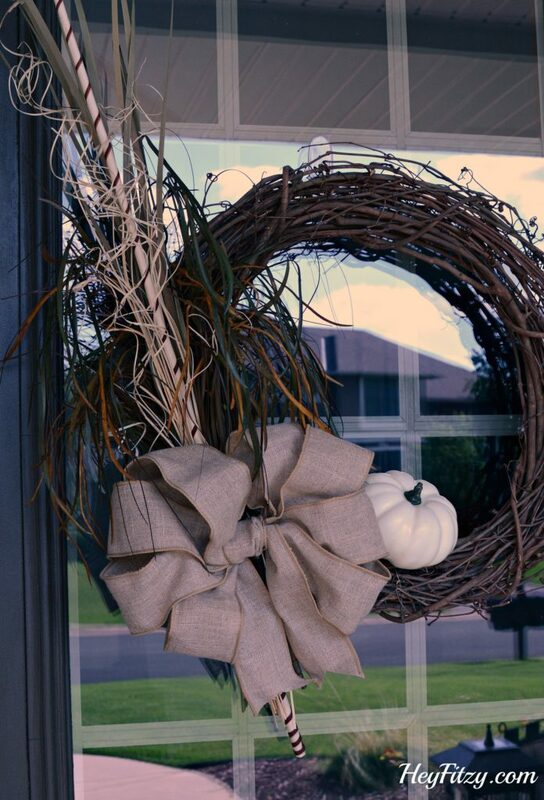 And now go check out all the fabulous fall wreaths that are part of this Blog Hop. « Coconut oil is like magic- 35 useful tips! I like to hang just about everything with those amazing command hooks and velcro! It's awesome stuff. 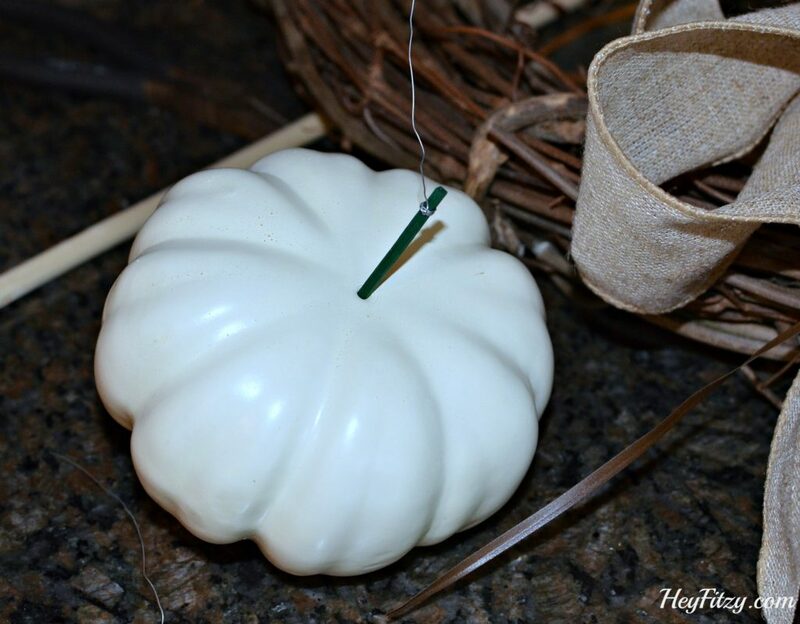 I love the white pumpkin with the pretty neutral burlap bow! Beautiful doors! 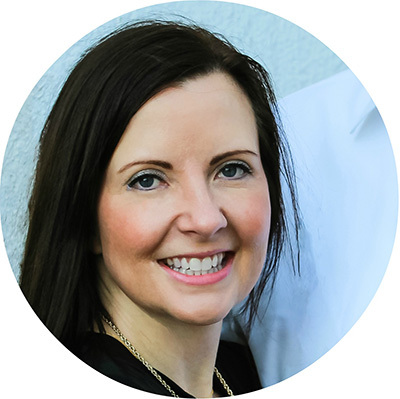 Thank you Kelli! I am amazed at how well those hooks work. I figured after the kids slammed the front door a few times they would fall off. Nope! They really are amazing! Thank you Lynn!!!! Ivee would love to meet Flora! Perhaps once we live a little closer. :) This wreath hop was so fun and just the motivation I needed to get those wreaths done early. Now...on to getting the rest of the house ready for fall! Can't wait!! Thank you Jenny!!! 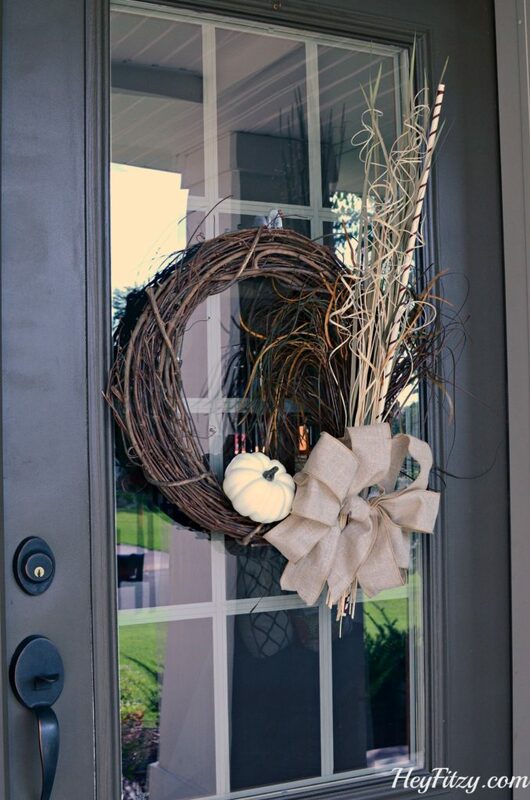 This wreath hop was great motivation for me to get started with the fall decorating. 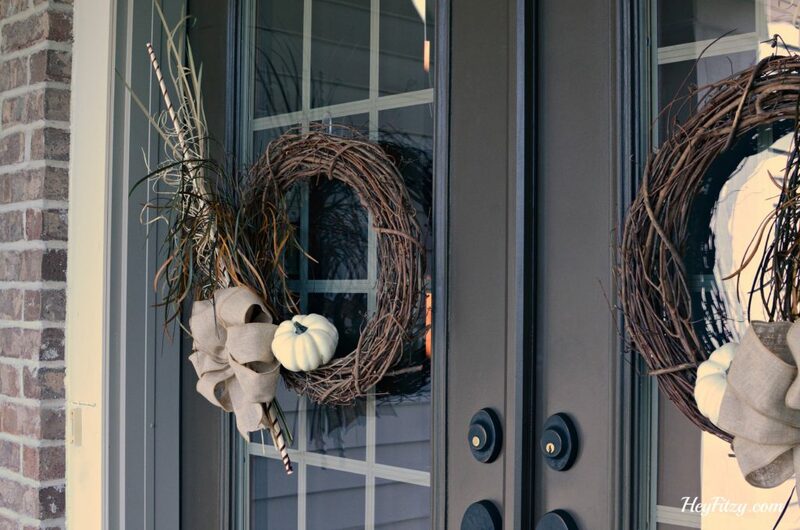 The pair of wreaths are perfect for your entry! Love Miss Ivee too! Thank you Kathy! Miss Ivee is hard to resist!! 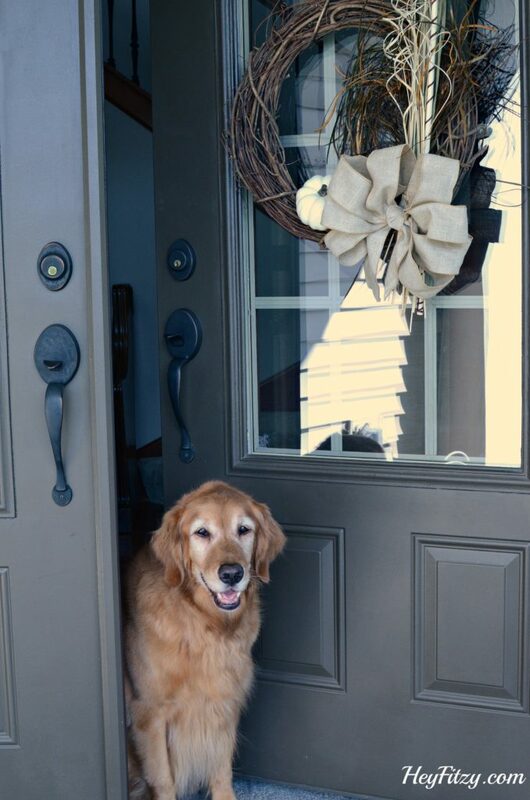 I love that you put a wreath on both doors! They are so beautiful, and that picture with your dog is priceless. What a model. What a fantastic price for the two wreaths, and they turned out beautifully. Your dog is super cute too!